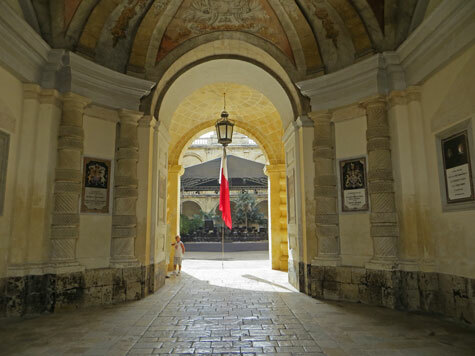 The Grandmaster's Palace is the office of Malta's President. It also serves as the House of Representatives (i.e. the Maltese Parliament). Built in 1570, the building was once the Auberge d'Italie. A portion of the palace is open to the public. Tourists can visit the palace state rooms as well as the armory. The palace is located in the heart of Valletta.